Ministry belongs to the church. That is to say, it belongs to the whole church. We have so over-professionalized Christian ministry that not only do most church members not know how to serve in the church, most pastors aren’t equipping them to do it. But the apostle Paul says that it is the pastor’s job to train the saints for the work of the ministry, not to do it all himself. 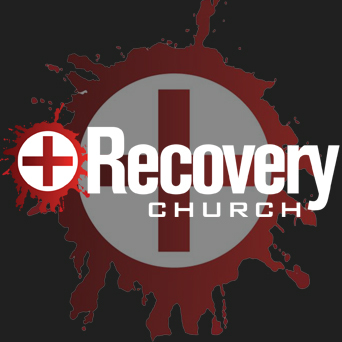 A Recovery Culture Church understands that all the church should be able to care for the addicts among us. In this model, the pastor and pastoral staff are responsible “to equip the saints for the work of ministry.” Meaning the ministry of the church belongs to all believers and the pastors job is simply to help prepare them to do their job. I’ve written about this elsewhere, but here I want to give a simple summary, directly applied to the area of recovery ministry. The Biblical model is invaluable to the church for several key reasons. First, it keeps pastors and pastoral staff from burning out. This model allows the burden of ministry to be spread around. Pastoral burnout is a massive problem. My mentor, Dr. Frank Tallerico, has been doing a great deal of research on the subject. He has discovered that “over 70% of pastors were stressed out and burned out enough to leave the ministry, and 35% to 40% left after only 5 years.” Other research from 2010 stated that pastors, generally, are suffering from some of the most serious health and stress related illness, issues like obesity, hypertension, and depression. There are a number of factors contributing to this struggle, but among them is exhaustion. The pastor was never meant to carry the entire weight of Christian ministry in his local church. He needs help. This is especially true in relation to helping addicts. Care and support of someone struggling with an addiction is incredibly time-consuming and emotionally draining. It takes more than one person to help a friend in such life-dominating sin. It takes the whole community of the church walking alongside one another. That’s why Recovery Culture Churches understand that addiction care is more than a special ministry, it needs to be part of the culture and DNA of a congregation. Secondly, the Biblical model protects the church from being lured away by “deceitful schemes.” If you want a church that is theological strong then you need a church that is equipped for the work of ministry. A church where the members have to constantly check with the staff and make sure that they are not heading off into error will not be a mature and strong congregation. They will be easily “tossed to and fro” by all kinds of seemingly good-sounding ministries, preachers, teachers, and programs. This is especially true in the area of addiction care as so many models of addiction counseling do not align with the Biblical worldview. In fact certain ideas about addictions and treatment have become so dominant in our culture that they are sacred cows. To challenge them is to incur the wrath of the multitudes who have adopted these models. I believe a reevaluation of these popular approaches is in order, and the church needs to be equipped to think theologically about these problems. That is, in part, why I am writing my book. Recovery Culture Churches seeks to equip the whole church for Biblical ministry so that we have to spend less time defending a right approach to addiction treatment. A church “equipped for the work of ministry” can do these things. We are able to care for one another well, and we can more readily own our responsibility to the addicts among us. They are part of us and as such we have the same responsibility towards them as we do all members of the body. They too have the same responsibility for us and are being equipped, as part of the body, to fulfill their obligations too. A Biblical model of ministry helps us to achieve exactly what the Bible commands: fulfilling the one anothers. Recovery Culture Churches view addiction ministry as the responsibility of us all. We can’t delegate it, farm it out, or avoid it. Pastors need to be equipped in this kind of ministry in order that they might better equip their congregations. I am hopeful that my book will play some small role in this equipping.